I got my hands on a bricked WRT350N router was trying different magic trying to flash a new firmware and get it working. 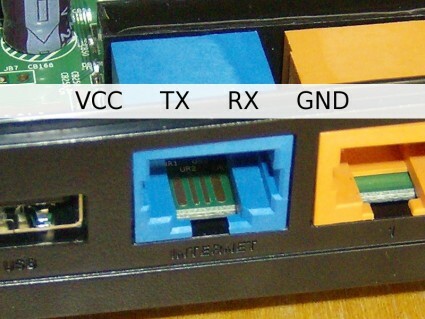 I was trying to connect it to a serial console when I realized that on the WAN port in the back, on the opposite side of the RJ-45 jack there were 4 pins… named UR1 UR2 UR3 UR3… that got me thinking, could those be for a serial connection Linksys started including in their new routers?? Opening the case up and tracing the 4 pins to the internal serial connection terminals proved that they were indeed for a serial connection. Some pictures for your viewing pleasure. Now I just have to figure out where to get a RJ-45 jack that has the pins on the opposite side so I can hook it up without soldering my own ghetto RJ-45/Serial jack. 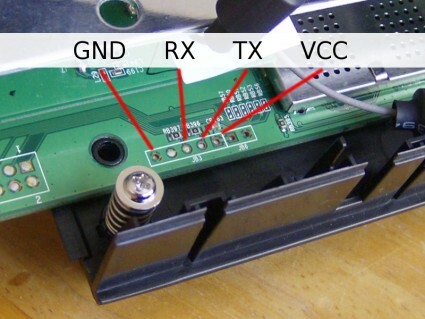 Let me know if anyone know where to find such a RJ-45 Jack.